WEDNESDAY, April 27, 2016 (HealthDay News) -- Many people who suffer a traumatic brain injury struggle with sleep problems they may not be aware of, Swiss researchers report. These patients also can suffer daytime sleepiness for as long as 18 months after their injury, the small study found. And these sleep problems may adversely affect daytime performance at work or school, the researchers said. "Sleep-wake disorders are highly prevalent after traumatic brain injury of any severity but are difficult to diagnose because many affected patients are unaware of their disorder," said lead researcher Dr. Lukas Imbach. It's not known why sleep problems in traumatic brain injury patients are underestimated, he said. Every year in the United States, 1.7 million people suffer a traumatic brain injury, and evidence suggests that number is rising worldwide, the researchers said. Sleep problems are known to be related to mood changes and depression, and also to learning and memory difficulties, said Imbach, who's with the department of neurology at University Hospital Zurich. "A link between these neuropsychiatric problems and sleep disturbances after traumatic brain injury is absolutely possible, although our study did not test this hypothesis," he noted. 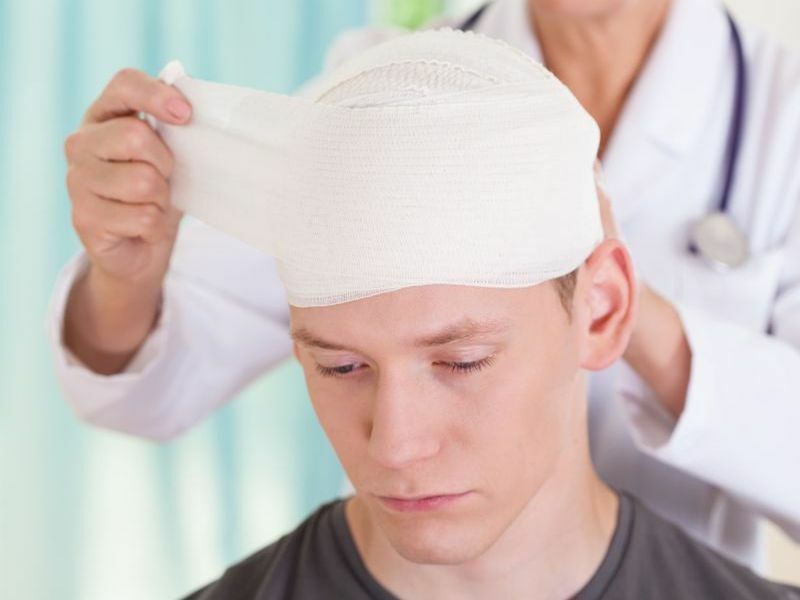 This study provides evidence that sleep-wake disturbances after traumatic brain injury persist over a long period of time, Imbach said, but they are neglected by the majority of affected patients. "Therefore, we believe that our observations are important for any clinicians and neurologists involved in the management of [brain] trauma patients," he said. The report was published April 27 in the journal Neurology. For the study, Imbach and his colleagues followed 31 people for 18 months who had experienced a first traumatic brain injury. Their injuries ranged from mild to severe. The researchers compared these patients with 42 healthy people. Imbach's team found that 67 percent of the brain-injured patients suffered from excessive daytime sleepiness, compared with 19 percent of healthy people. In addition, when asked about sleepiness during the day, people with a brain injury said they didn't feel any sleepier than those without a brain injury. People with mild traumatic brain injury were as likely to have sleep problems as people with severe brain injury, Imbach said. No other medical conditions accounted for these sleep problems, he said. The researchers also found that brain-injured patients needed an average of eight hours of sleep a night, compared with healthy people, who needed an average of seven hours of sleep each night. Dr. Brian Edlow is a member of the neurocritical care staff at Massachusetts General Hospital in Boston. "Doctors who take care of patients with post-traumatic sleep disorders often rely on patients to report their own symptoms when deciding whether to perform a formal diagnostic sleep study," said Edlow, who co-authored an accompanying journal editorial. "However, if patients are not recognizing their own sleep disorders or their own daytime sleepiness, we as clinicians need to rethink our approach to the assessment and diagnosis of post-traumatic sleep disorders," he said. Earlier studies have suggested that as many as 50 percent of patients with traumatic brain injury experience sleep disturbances or daytime sleepiness. And, since many of these patients may not recognize their own symptoms, the fundamental question is whether all patients with traumatic brain injury should be tested for sleep problems, Edlow said. Additional studies are needed to establish the link between sleep-wake disturbances and impaired daytime performance at work or school, which is the most important indicator of how these disturbances are affecting a patient's quality of life, Edlow said.